Mar 27, 2015- Green Earth Poets Cafe was honored to be one of the hosts and guest performers of the Shirley Chisholm Women of Excellence Awards and Reception. 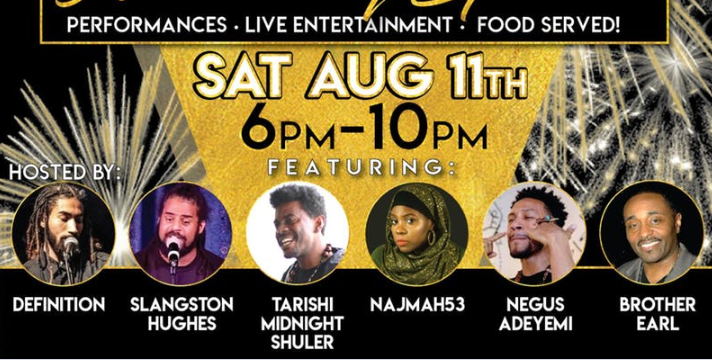 The event held Friday at the First Baptist Church in Crown Heights Brooklyn, was a very successful event curated by NYS Senator Jesse Hamilton III. In addition, other hosts included Brooklyn Borough President Eric L. Adams, NYC Councilwoman Laurie Cumbo 35th CD, NYS Assemblywoman Jo Anne Simon, and District Leader Shirley Patterson (a candidate for the NYS Assembly 43 AD) . Nine distinguished women were celebrated and awarded women of excellence awards, including the first lady of NYC Chirlane McCray. I congratulate Senator Hamilton on curating and celebrating such wonderful women of excellence. Truly a memorable women’s history month special event. There was electricity in the air as many of our mothers, daughters, aunts, grandmothers, and wives were in attendance and were also celebrated. 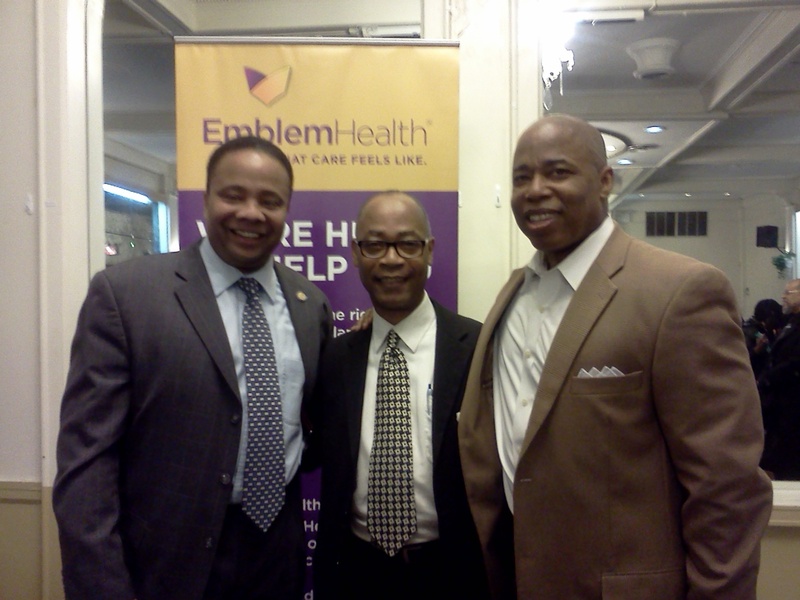 Pictured is NYS Senator Jesse Hamilton III, Green Earth Poets Cafe’s Executive Director Curtis Harris, and Brooklyn Borough President Eric L. Adams. Happy women’s her-story month 2015. 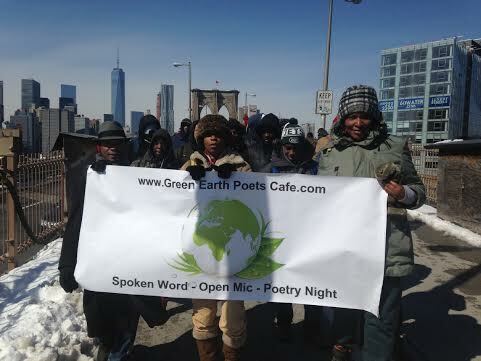 Mar 7, 2015-Green Earth Poets Cafe celebrated the 50th anniversary of the march over the Edmund Pettus bridge in Alabama for voting, civil, and human rights for African Americans here in the United States by marching with others over the Brooklyn bridge Mar 7, 2015. At the invitation of the honorable Eric Adams Brooklyn Borough President, he led the march over the Brooklyn bridge in commemoration of the 50th anniversary of the event called “Bloody Sunday” an event which marked the turn of the voting rights movement giving black people in this country the full right to vote. Green Earth Poets Cafe was represented by its Executive Director Curtis Harris, Poet Sweet Aminata, and Community Board #8 youth and family services committee chair Akosua. Green Earth Poets Cafe’s His Story of Black Love event in honor of Black history month and Valentines love was a phenomenal success. The winner of the Slam was Mr.Tarishi MIDNIGHT Shuler (picture attached). 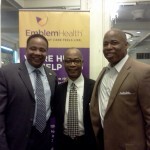 The evening was beautifully run by program director Quindell Quev Evans. The event was opened with four (4) beautiful young African Caribbean dancers from Stigma entertainment. They were awesome, (i.e. ), culturally enriching, artistic and wonderful African dancers. The audience was then mesmerized by a wonderful dance piece by the one and only Belly Dancer/modern dancer Synchana Elkerson (Synchana Madonna). She danced to a melody which gave honor to our ancestors which I’m sure made everyone proud. Her grace and beauty and dancing was something no one will forget. After the dance performances the Slam competition got underway with 12 poets all weaving spoken word stories which tantalized, entertained and educated. Each was a winner in their own right. Only 5 of the 12 poets made it to the 2nd and final round. I want to shout out and congratulate the 5 finalist, R.Q.Tek, Prospect (aka Jerome Monroe), Tarishi Midnight-Shuler, McPherson Anthony, and Nasiyr Abdullah. Each of these poets/artist deserved to win, each was spell binding with their art of spoken word. However, there could only be one winner named and that was Tarishi Midnight Shuler. This brother traveled from Connecticut to be with us I subsequently learned and can say he deserved the win last night. Congrats brother Midnight. The evening continued with outstanding and side hurting laughter as comedian extraordinaire ALEX Babbitt tore up the audience. There was laughter and tears from laughing so hard. This brother is someone to keep your eyes on in the future. Thanks Alex and April. 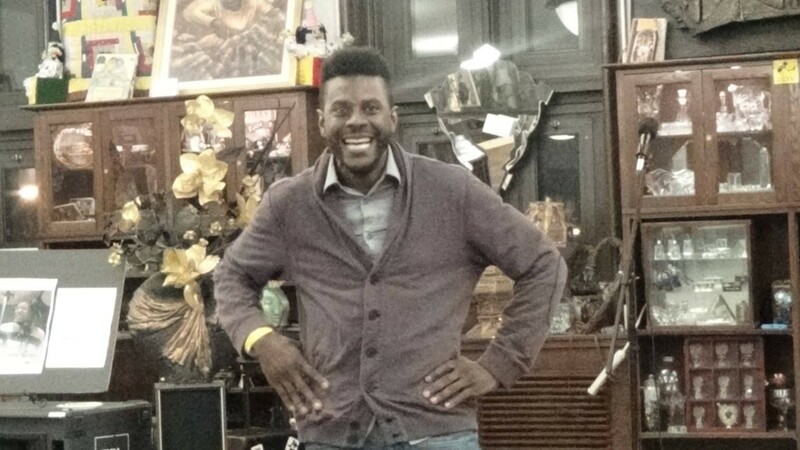 We also had time for an Open Mic segment last night which was run by Green Earth Poets Cafe’s own team member the phenomenal poet/artist/hip hop star Nasiyr Abdullah. Welcome to the team brother. We wish to thank all the artists who were not mentioned for coming out, the guest judges, and most important the audience. As we officially come to the Feb. close of Black His-Story Month I thank you all. Video and still pictures to follow. Special thank you for our board members Diane McNeil, and Genesis Valdez for coming to the event. A special thank you to VIP judge Shannon Shird of the Brooklyn Arts Council.